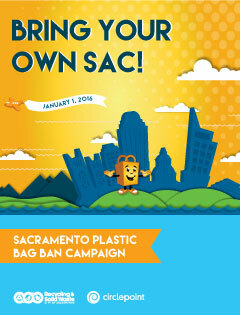 On March 31, 2015, the City of Sacramento unanimously approved the single-use plastic bag ordinance. The ordinance intent is to reduce litter and non-compostable materials in landfills, making Sacramento a cleaner, more sustainable city. 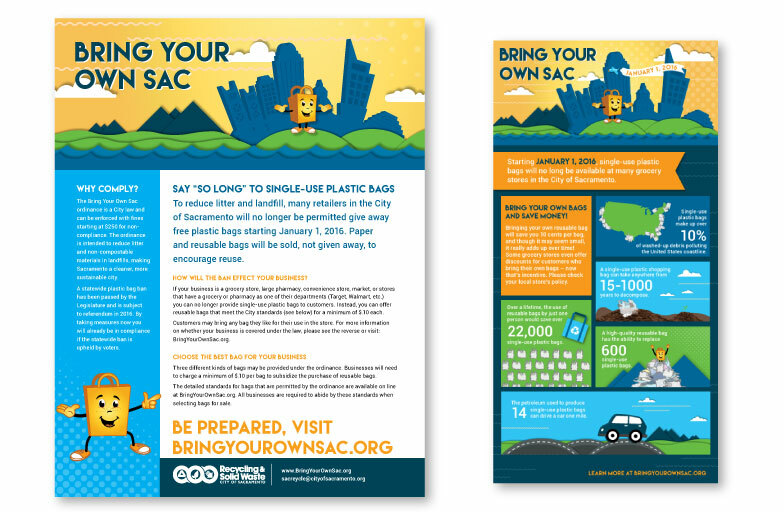 As of January 1, 2016, single-use plastic bags are no longer provided at many businesses in Sacramento. 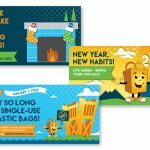 To prepare local retailers and shoppers for this change, the City of Sacramento Department of Public Works, Recycling and Solid Waste Division, hired Circlepoint to develop a campaign brand, community engagement strategy, and accompanying marketing and advertising materials. 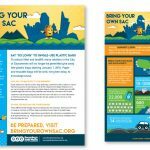 The goal of the campaign was to motivate behavior change to reduce the use of single-use plastic bags and encourage the use of reusable bags. Prepare local retailers for the ban, provide them with easy-to-use resources and motivate them to comply with the ban requirements. Prepare local shoppers for the ban, motivate them to use reusable bags and raise awareness about the benefits of a more sustainable lifestyle. 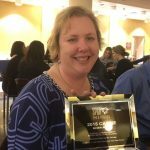 The client’s vision was to make it easy for retailers and shoppers to adapt their behavior to align with more sustainable practices, and to inspire local civic pride about being part of a greener, cleaner City of Sacramento. 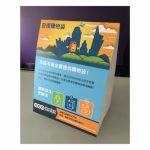 A variety of interactive, social, digital, and print materials were developed to promote awareness and compliance of the ordinance. Collaborating closely with the client, Circlepoint developed campaign branding, messaging and creative assets to resonate with target audiences and appeal to their motivations. We chose a specific mix of in-person, print, interactive and social channels based on analysis of our target audiences and a deep understanding of their motivations, barriers and preferred channels.